Over the last few weeks I've been collecting all types of cuttings for little plants and moss. I've been wanting to make a cool moss, grass and creeper terrarium. The other day I came across a great vase for the job and quickly set to work constructing the terrarium. If you were thinking of making a terrarium you should know the jar makes the whole thing, so select your jar wisely. Sealable jars are the best to use, unless you dont mind misting your terrarium everyday. For me the hardest part was finding the jar. The moss and plants where easy i have a billabong close by to my house and seeing as the terrarium is a humid climate, i thought the billabong plants would thrive and so far im right. The moss and creeper cuttings i gathered are flourishing. The other delicate part is placement of all your plants. I went for the scene of the place I found all the plants, a natural billabong look, weeds, grass moss, logs And some stones for good measure. To me it looks like walking through a wet bush path trying to get to the billabong. Its a truly Australian scene. 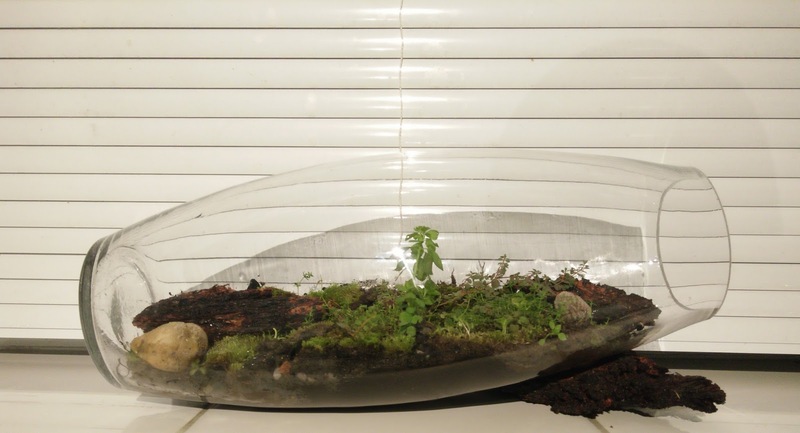 But I've seen people create terrariums with all kinds of themes, scenes and designs. The point is you make it you own. 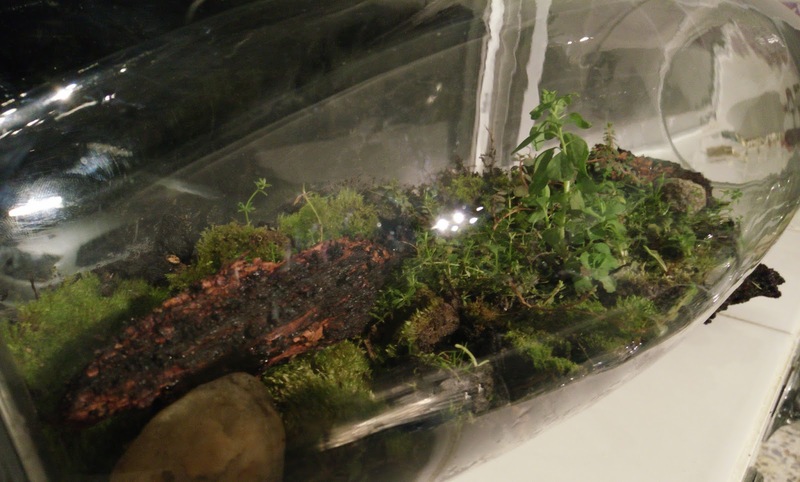 I hope this post motivated you to make your own Terrarium. These wonderful mini gardens make great gifts or even talking point next time you have a guest over. Put a terrarium on a coffee table and people can't help but ask "What's That". 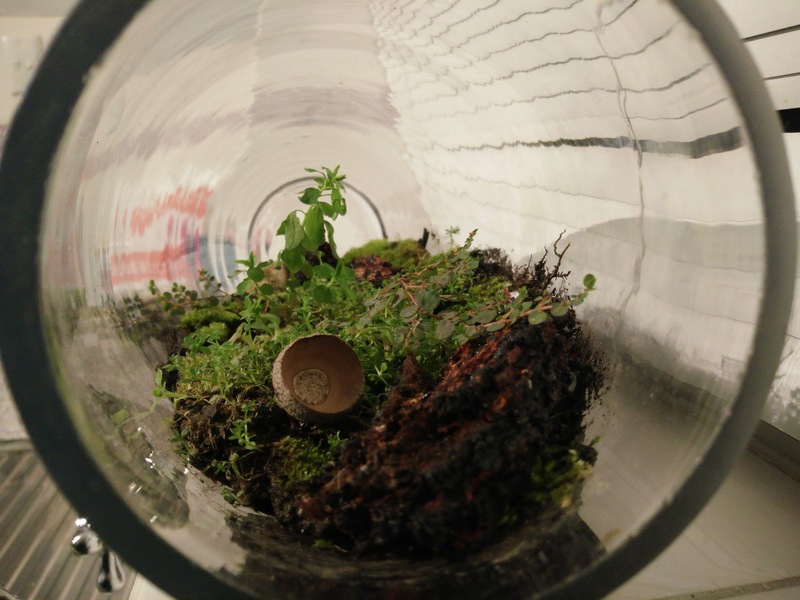 Please share your photos of your terrariums or a link to wherever we can see your pictures in the comments. I'd love to check out your tiny gardens. 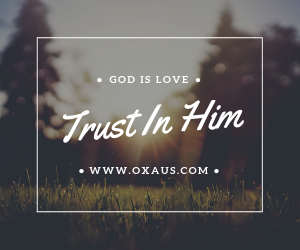 Leave a comment regarding this post. Voice Your ideas and opinions. We respect your feedback and ideas.